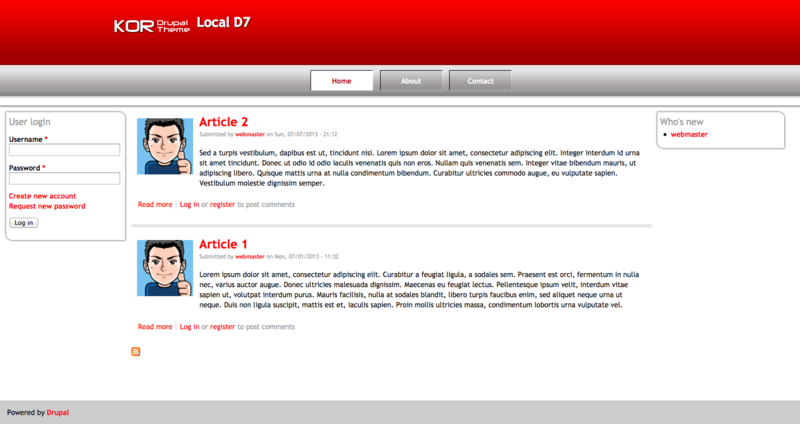 Version 7.x of the Bella theme has been released on drupal.org. Check it out here! The Mel Drupal theme is now complete and is available for purchase. Mel is available for Drupal 6 or Drupal 7 sites. 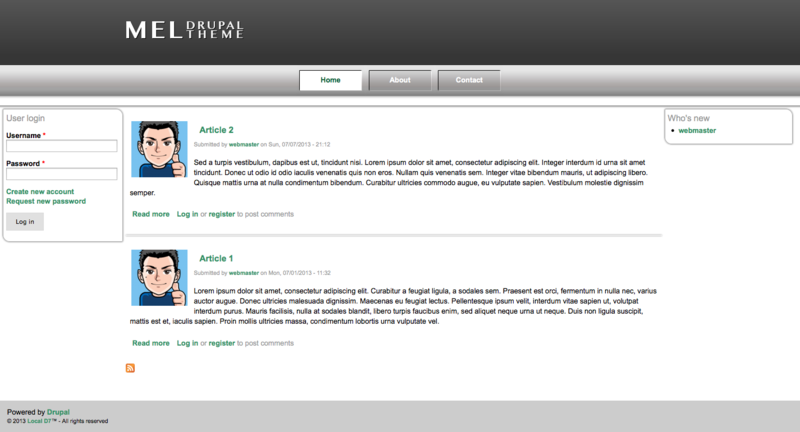 The Platinum Drupal theme has now been added to the list. Platinum is available for Drupal 7 sites. The Kor Drupal theme has been added to our theme showcase and is now available for purchase on hooktheme.com. Kor is available for sites running Drupal 6 or Drupal 7. The Grace Drupal theme has been added to our theme showcase. Grace is available for Drupal 7 sites.